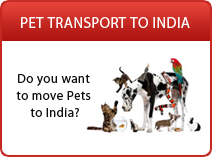 Do you want to ship your excess baggage to India? Do you want to visit India without the hassles of baggage checks? 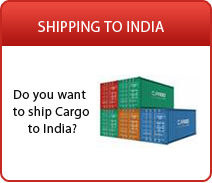 Have you purchased something on your holiday and want to ship it to India? Shipping cargo to India and shipping excess baggage to India can be very expensive through airlines at airports. Even a few kilos of excess weight the airline charges could be exorbitant. Hence if you do have baggage over and above your airline allowed weight limit, it is strongly advisable to use a specialist excess baggage moving company. 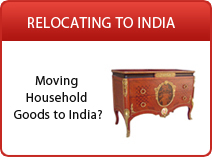 Excess baggage moving companies to India specialize it moving suitcases, luggage etc. from most International locations to major locations in India. They usually charge flat rates per package. Ship2India will assist to get an estimate on your baggage shipping to India, simply complete the quote request form and get free no obligation moving quotes from the best moving companies and avail the best offers to save on your shipping expenses.